Our client was a Horticultural Products Marketing firm based in New Zealand. The client had certain stores throughout multiple cities across New Zealand. As it is obvious, that stores cannot be opened in every locality, so the client wanted a page where the user can request for such convenience stores in their locality. How did we provide solution? We developed a custom plugin that will allow the customer to select a location from a list of locations. Once a customer selects a location, this info is stored in a database on AJAX request. Based on the location chosen, the count will be incremented for the selected location. 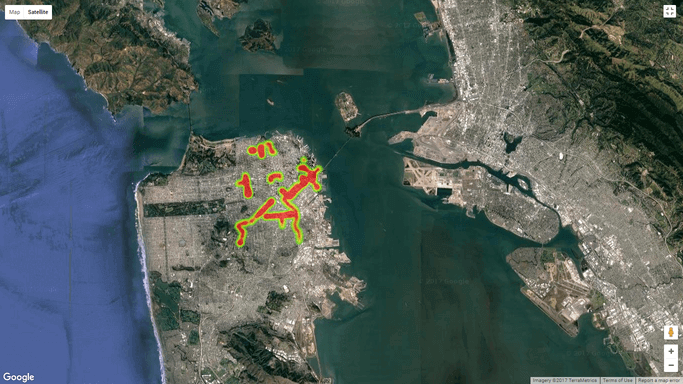 We integrated Google Heatmap API in such a way that this dataset with location-count is given to API as input. Then an API call is made & its response is a HeatMap which is rendered on the page.